a knuckles sandwich « AFTER THE POP ! i still remember the 1st time i heard him and saw him spin records at the warehouse chicago- it was 1979- i was 21 and so very naive and hanging with my friend medusa, nealina, and greg- frankie was using 3 turntables and inventingly reworking records as i had never heard them before. he was producing his own music in a live setting with thousands of witnesses and critics. in my mind (and being from chicago) he will always be the founding member of the house party- although larry levan was having a similar life experience in nyc. to this very day, i jump for joy when i find a new mix of his available, whether its a record or a recording of him spinning live. last week he played the boiler room gig in nyc. it’s classic and pure frankie knucles all the way through- a little bit of jazz, a little bit of rock, a little bit of soul. their pioneering and their genius has guided a few generations of turntable musicians with a hard working mindset and an invitation to look at music as an evolving moving thing. that nite in chicago changed my life and opened my imagination to the ways music can move me. here’s an excerpt from frankie’s 2009 podcast at residential advisor. if you’ve even got a passing interest in house music, there’s very little chance that Frankie Knuckles’ name has escaped you. 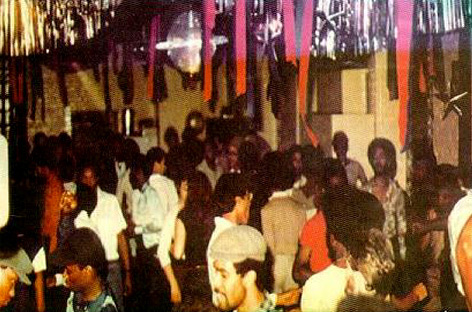 Starting off as a clubber in the New York disco scene—his first job was to spike the punch at Nicky Siano’s now legendary The Gallery gatherings—Frankie soaked up the knowledge passed down to him from his good friend Larry Levan, and managed to secure a residency alongside the Paradise Garage luminary at the city’s Continental Baths. What with the Levan connection, it wasn’t long before he was headhunted to become the resident DJ at Chicago’s Warehouse, a predominately gay and black club where he became a local pin-up for his sets of sublime soulful disco. Playing records that even the hardened Chicagoan disco DJs had never heard of, his reputation shot skyward, but in 1983 he decided to leave the Warehouse and start his own club called Powerplant. The venture was successful, but Frankie’s mind was already on getting into music production, and just three years later, the club closed, and Frankie started putting records out. His first 12-inch was a cover of Teddy Pendergrass’ “You Can’t Hide,” which he produced alongside Chip E and Joe Smooth and put out on Rocky Jones’ DJ International imprint, but his biggest hit came the following year when he updated Jamie Principle’s “Your Love” on Trax Records. 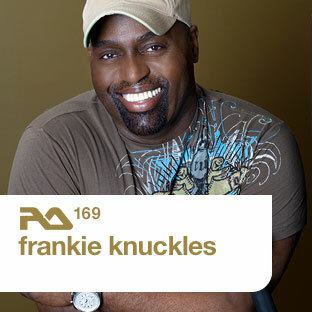 Even though Jamie’s track had been circulating on tape for years (and is disputed to be the first house music track ever recorded), many people attributed the record to Frankie (Larry Sherman’s decision to capitalize on his popularity by labeling the record “Frankie Knuckles presents” and not mentioning Principle didn’t exactly help matters), and from then on he was a name to be reckoned with on the international house music scene. After moving back to New York, Frankie stepped in for Junior Vasquez at the Sound Factory for a couple of years, and has carried on producing and DJing internationally ever since. While other house legends have been happy to live off their former glory, Knuckles has been active throughout this decade, releasing two full artist albums and plenty of mix CDs, the latest being his forthcoming Motivation Too CD which hits the shops in October. He’s also playing the Electric Zoo festival in his New York hometown next month, so we thought that now would be a good a time as ever to get the man to mix up an RA podcast for us. We caught up with Frankie by e-mail to ask him about the RA mix, his first Motivation mix and why he closed the Powerplant. This entry was posted in 80's chicago, boiler room, frankie knuckles, house music, music, residential advisor, warehouse chicago.